One country, one flag. Many cities, one flag too. Contrasting with a rich mythology populated with dragons, three-legged crows and bixies, anywhere in China where a flag should be flown, it is always the same one: the Five-Star Red Flag. The large yellow star represents the Communist Party, and the four smaller stars represent the social classes within the country, as described by Chairman Mao in his On the People’s Democratic Dictatorship (here) writing: the workers, the peasantry, the urban petite bourgeoisie and the national bourgeoisie. But China has some sort of ‘absolute uniformity’ policy when it comes to identify authority on any level, from local government to Central Administration: the only flag that will be hoisted will be the Five-star Red Flag. Here below, an example of a Catalan regional flag related to the links of a territory with its economic activities, the Garrigues county and their key industry of vegetable oil, thus the olive tree branch on their flag. The legend has it that when the Saracen invaded what is now Catalonia, they planned to sneak upon the Christian army stationed at Sunyer. God helped the sleeping Christian army by making all the roosters of the county sing at the same time, awaking the defendants on time to counter the attack. It is because this was considered divine intervention that they adopted two open eyes (awake) as a symbol for their town. The first is that China has always been more keen of coats of arms and standards rather than flags, historically speaking. Flags understood as symbols of a community are more a thing of the Western world, especially Europe, where they spread to the New World. Understand that China was subjected to an Emperor, who managed the territory and its resources as if they were another of his properties, and thus, without needing a symbol to identify it as a separate entity. The army had their banners, some towns had their own seals, the emperor had its symbols… and that was it. So China didn’t have any tradition on flags nor anything like a national flag (again, under the western concept) until the middle of the 19th century, when this situation caused many problems as its interaction with the West increased. For example, the Arrow Incident in 1856 occurred as a result of Chinese civilian vessels flying foreign flags. Special mention is due to this city, as it has an interesting track within China’s history, a singularity comparable maybe to Beijing or Shanghai, as the city hold the title of capital for various Chinese dynasties, kingdoms and republican governments dating from the 3rd century CE to 1949. Whilst Beijing is the modern capital of China and Shanghai the face of its economic progress, both directly under the central government control, Nanjing was left to its own business. But in recent years this ban has either been ignored or simply not enforced, and not only Nanjing hoisted its flag again, but also other cities created some of their own. But also a seal as well, kind of inspired by those of Hong Kong and Macau’s. 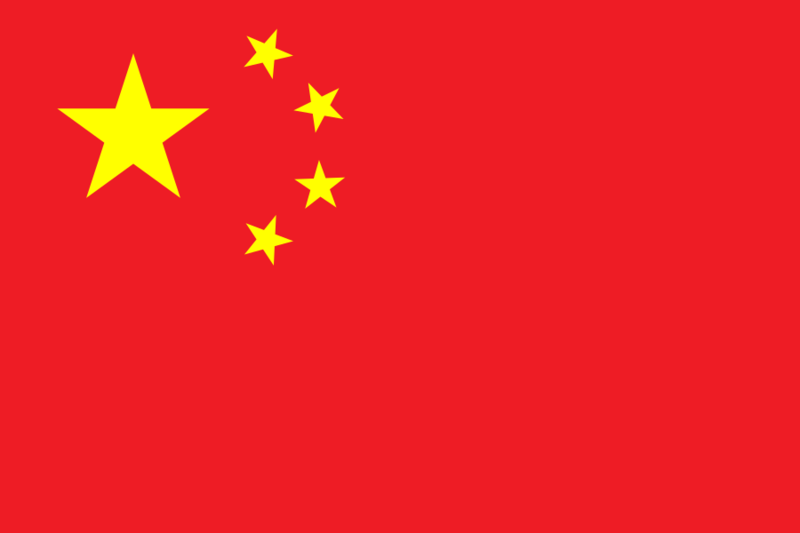 Shangrao followed suit in 2009 with the flag here below, and Xi’an presented a seal for themselves. How China got its flag and which designs didn’t make the cut. Also forgot to say, great post!